Before downtown Manhattan was scrubbed clean, gentrified and overrun with designer boutiques and trendy eateries and bars, it was the center of a burgeoning art scene-both exciting and dangerous. 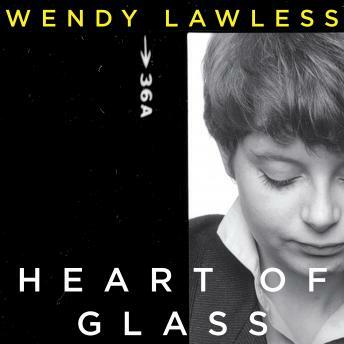 Running from the shipwreck of her glamorous and unstable childhood with a volatile mother, Wendy Lawless landed in the center of it all. With an open heart and a thrift store wardrobe, Wendy navigated this demimonde of jaded punk rockers, desperate actors, pulsing parties, and unexpected run-ins with her own past as she made every mistake of youth, looked for love in all the wrong places, and eventually learned how to grow up on her own. With the same 'biting humor' (People) that made her New York Times bestseller Chanel Bonfire so captivating, Wendy turns her brutally honest and often hilarious spotlight on herself, recounting her tumultuous and giddy twenties trying to make it in the creative underbelly of New York City, all the while searching for love, a paying job, and occasionally, a free meal.